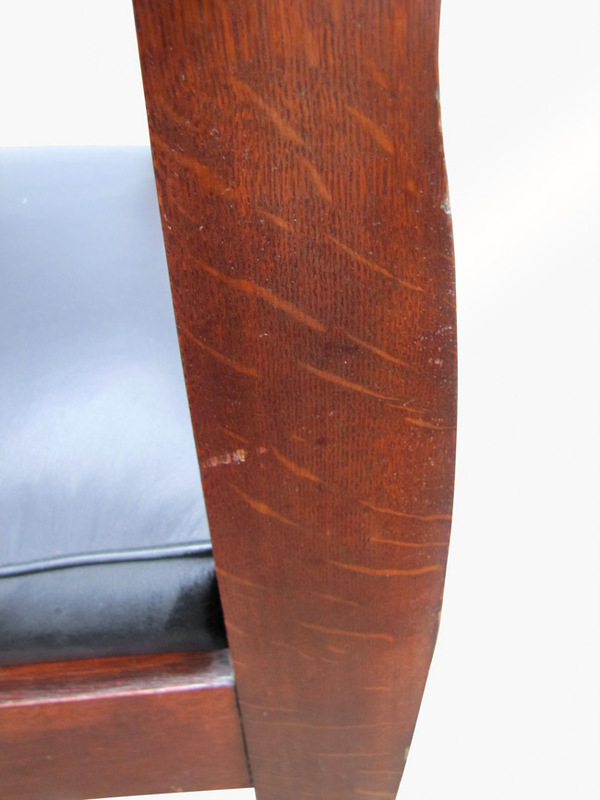 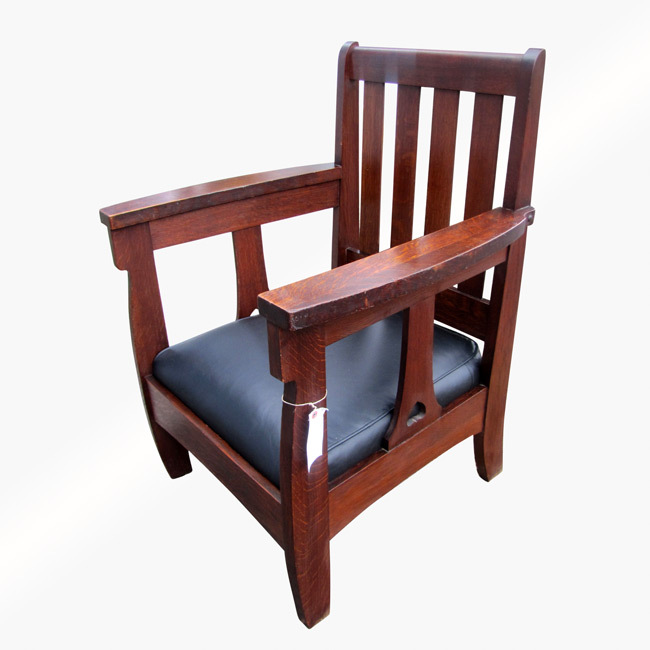 This is a great form c limbert arm chair in mint condition with cut out with no crack in the cutout design. 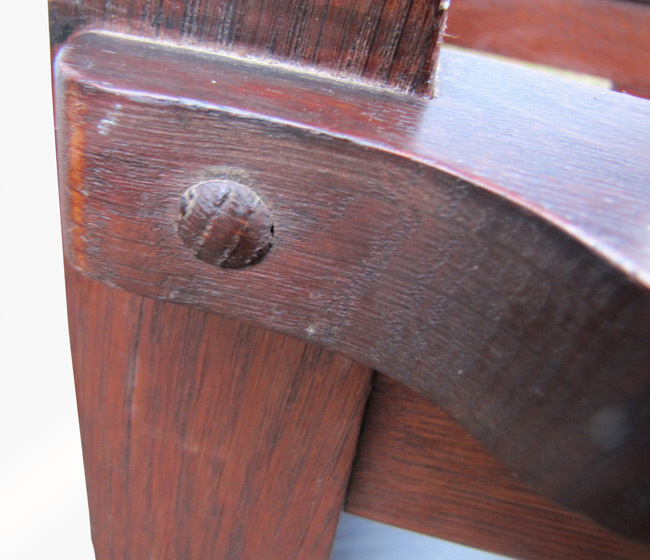 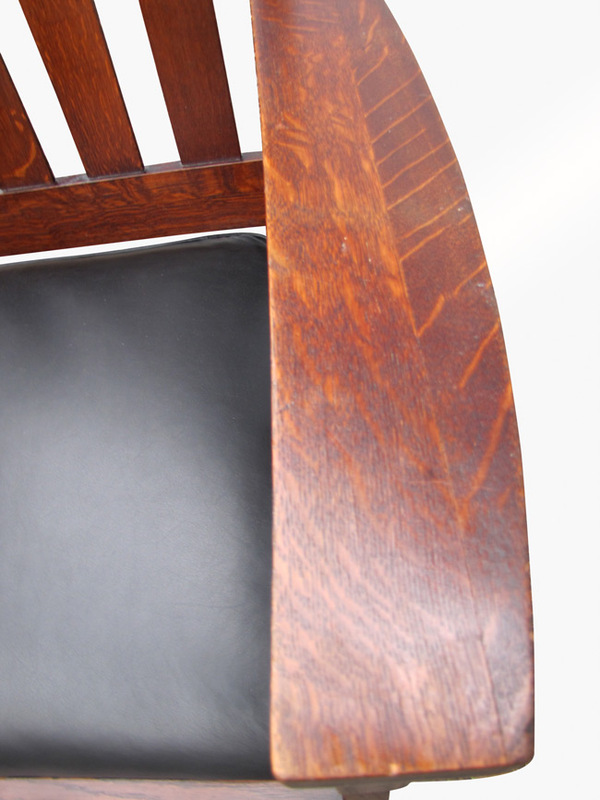 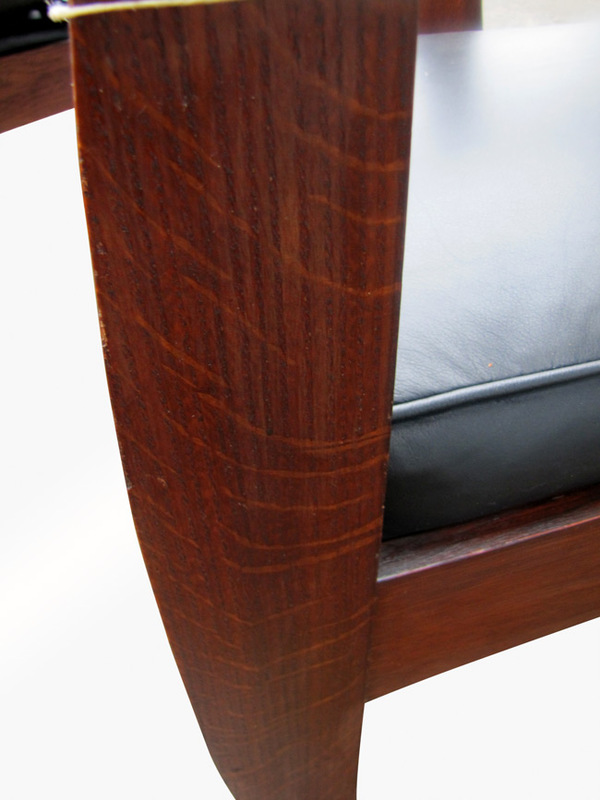 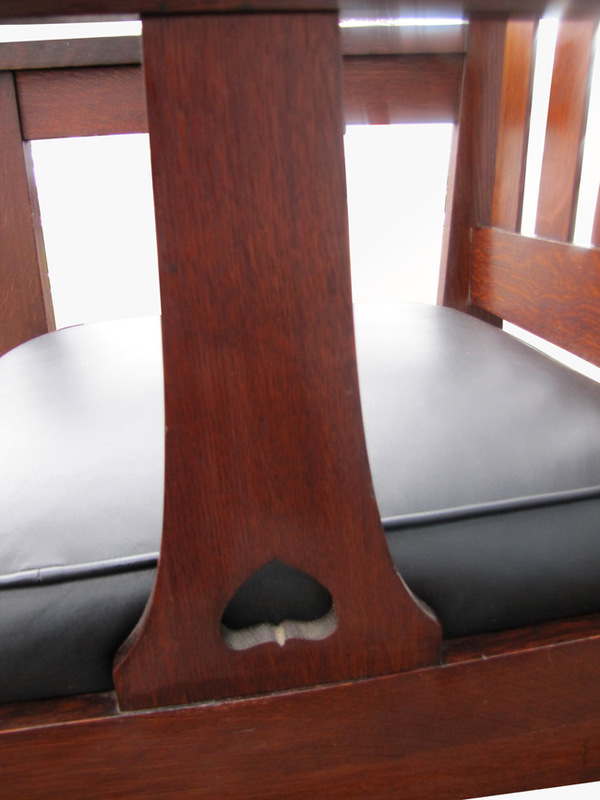 With cut out design furniture we see many with cracks and other prioclem but this chair is great. 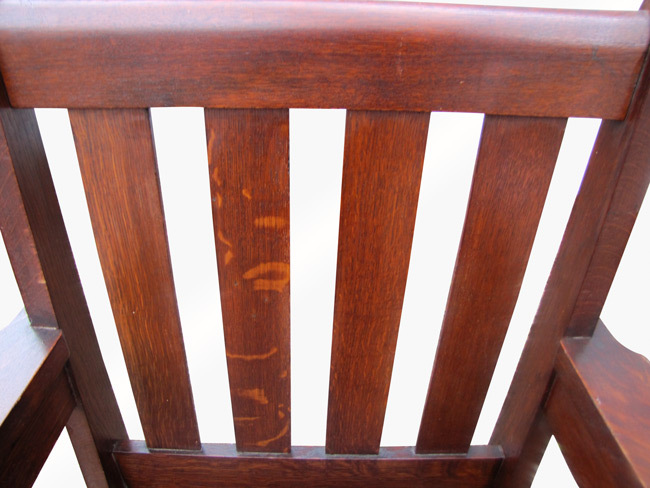 The chairs is pegged and marked. 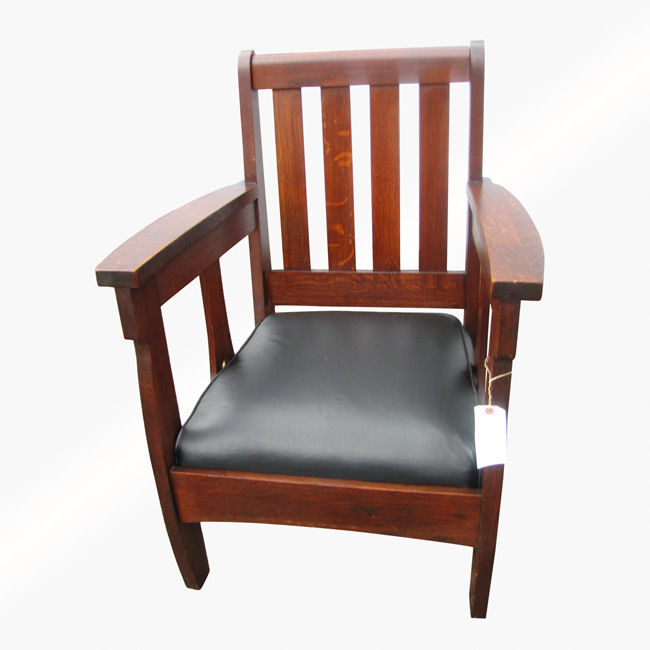 We do have the limbert settle or settee go with this as a set if you like. 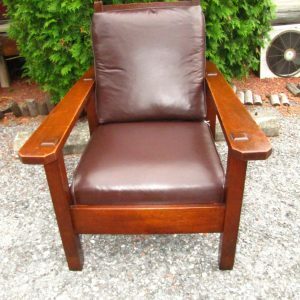 Great original finish and color. 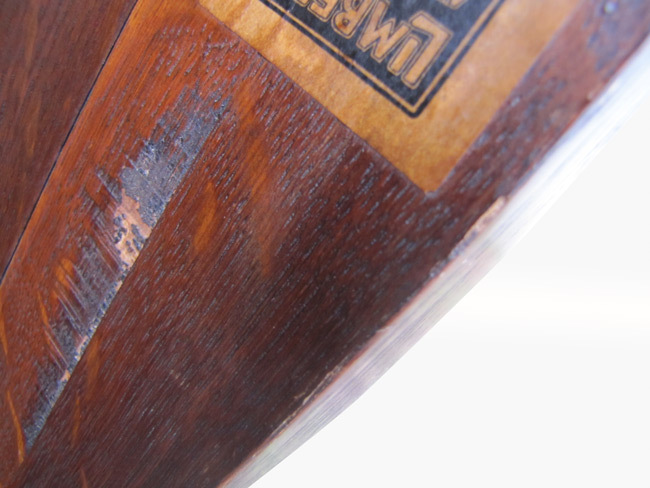 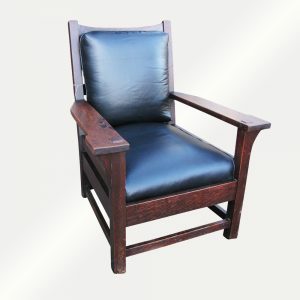 The seat is recovered with great hand spun leather we purchase in italia, top quality, over cotton webbing (most put the seat over a pc of plywood) and with cotton and hair fill no cheap foam. 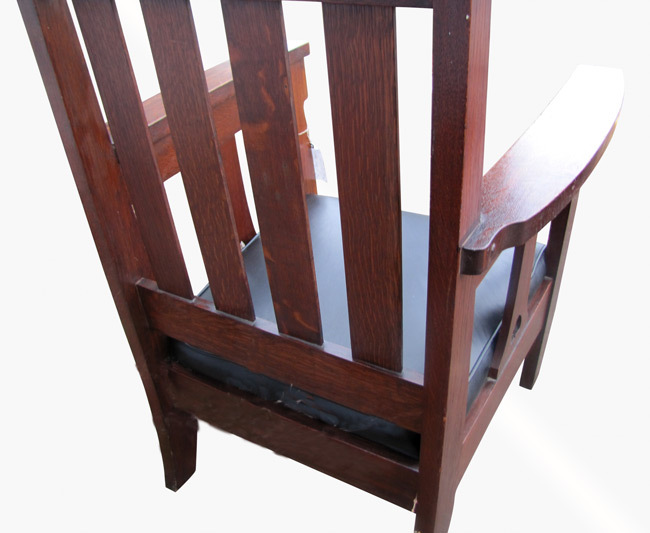 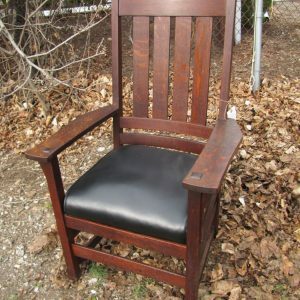 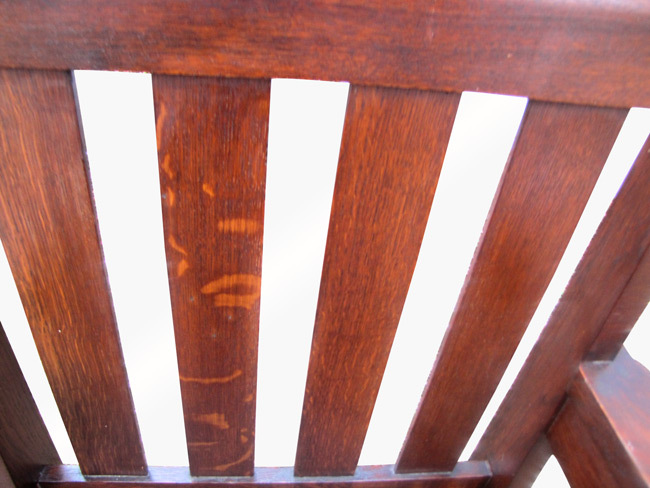 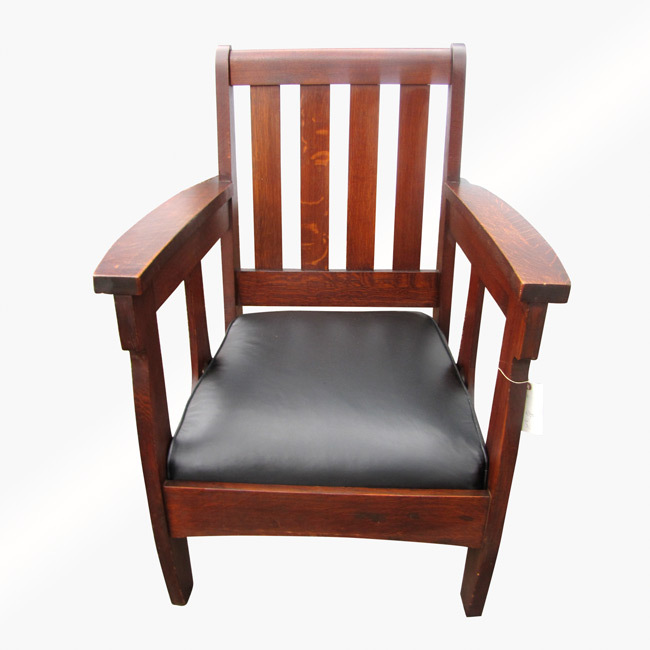 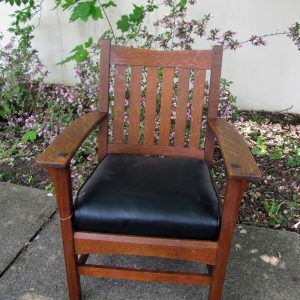 We will add a picture of this chair with the settle, settee. 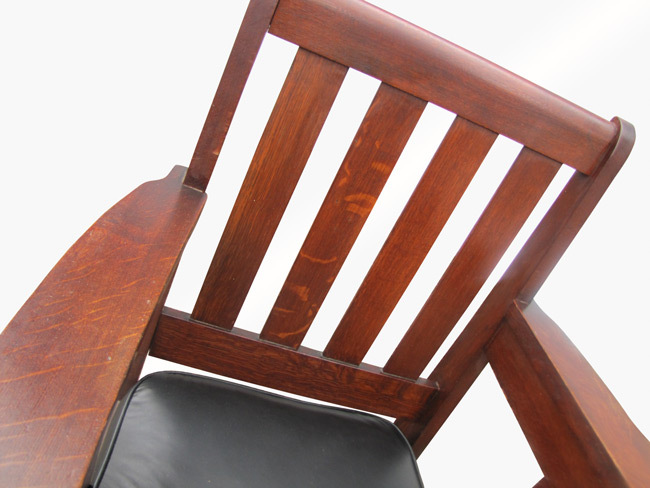 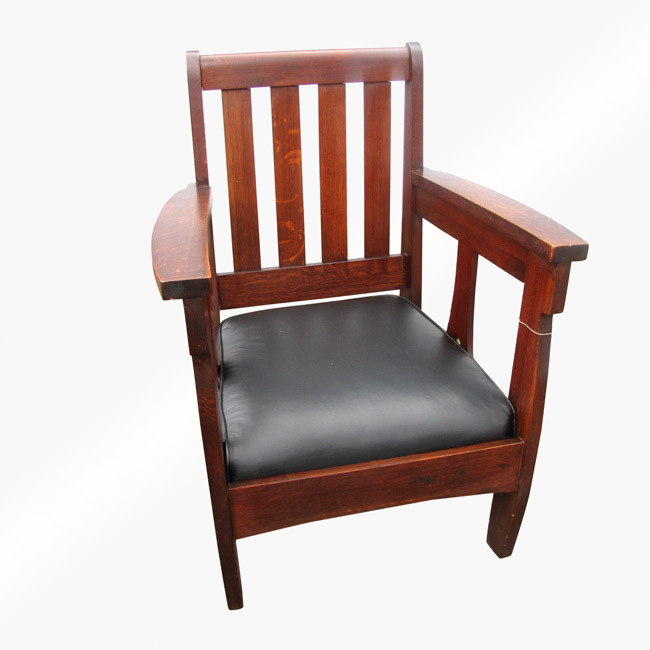 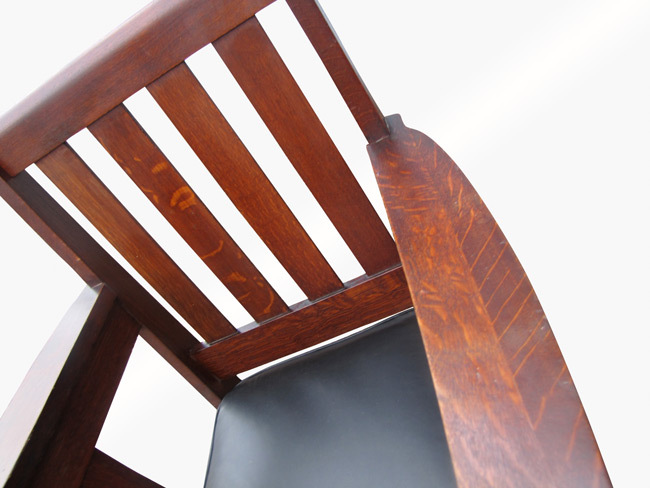 The chair is sturdy and strong and ready to use in your home.